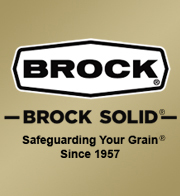 Brock Grain Systems has a long-standing tradition of demonstrating innovative leadership in developing, marketing and supporting Brock systems and solutions worldwide. The BROCK® brand name is well known by premier users everywhere. It has an enduring reputation for quality, long-term value and exceptional performance. We continually work to remain at the forefront of technology in the grain production industry. And we retain our focus on anticipating and responding to the changing needs of this industry with innovative and reliable solutions. Brock is a division of CTB, Inc., a Berkshire Hathaway Company. CTB has remained true to its tradition of Leadership through Innovation®. We have adopted strategies for growth to enable us to continue to serve our customers with excellence and leadership far into the future. Working hours are 8:00 a.m. to 5:00 p.m. Eastern time Monday through Friday.